Our generous amenities are the perfect complement to our premium rooms. 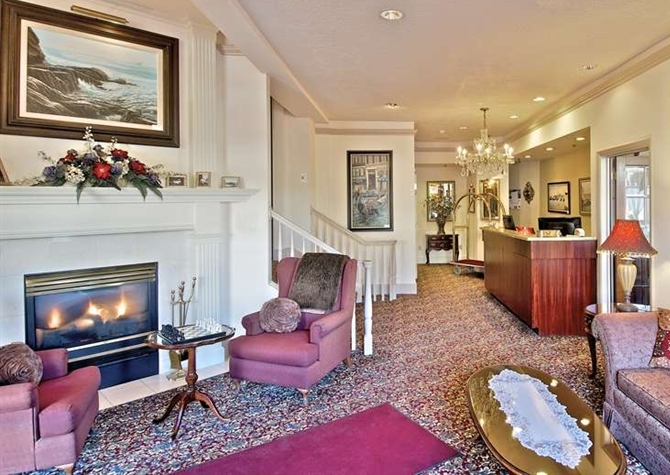 Here at The Historic Anchorage Hotel, we’ve thought of everything you need for a cozy and relaxing Alaska vacation, from free hotel-wide Wi-Fi to concierge services. 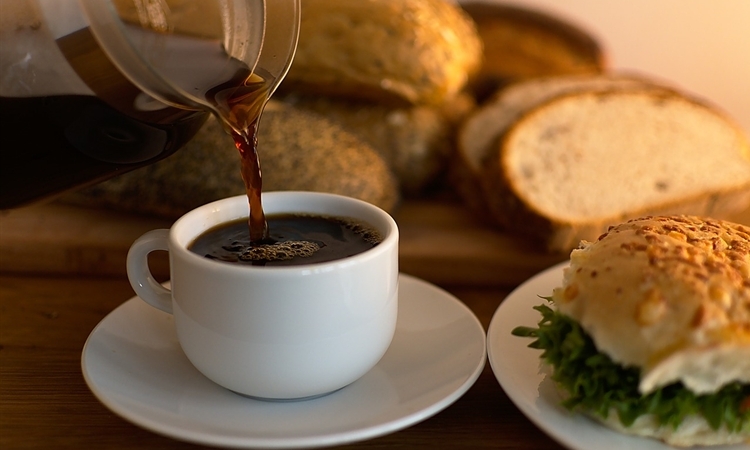 Start each day on a high note with a free breakfast in our rustic bar area or sip a cup of coffee made by your in-room coffeemaker while admiring the Anchorage cityscape. Keep up with your fitness routine with a workout in our fitness center. Watch a movie or your favorite sitcom on the cable TV. And sink into your plush mattress covered with luxury linens for a peaceful night’s sleep. 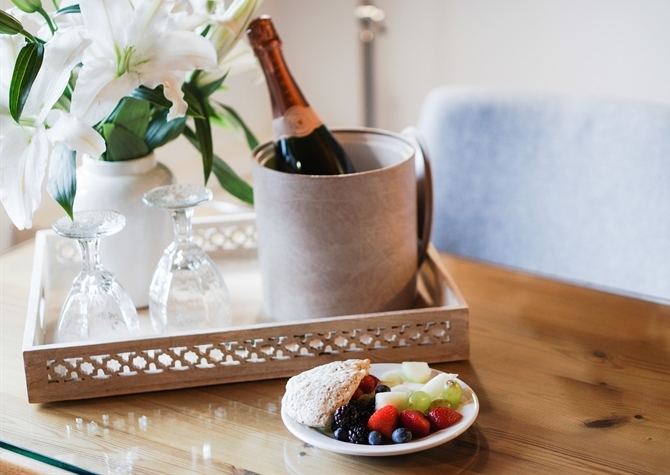 Whether you're in town for business or pleasure, you'll love all the special touches and free perks that set us apart and make your stay memorable. Put a spring in your step each morning with a fresh breakfast on us. Served from 6 a.m. to 9 a.m., our deluxe full breakfast includes items such as Buttermilk pancakes, Eggs, Potatoes, Breakfast meats, Fruit, Yogurt, Cereal, Juices, Coffee, and Tea. It’s the perfect way to start a morning of Alaskan adventures. Located just a step away from The Historic Anchorage Hotel, Grizzly's Gifts offers a wide selection of Alaska novelties and gifts like Ulu knives, stuffed animals, t-shirts, keychains, and gag gifts. 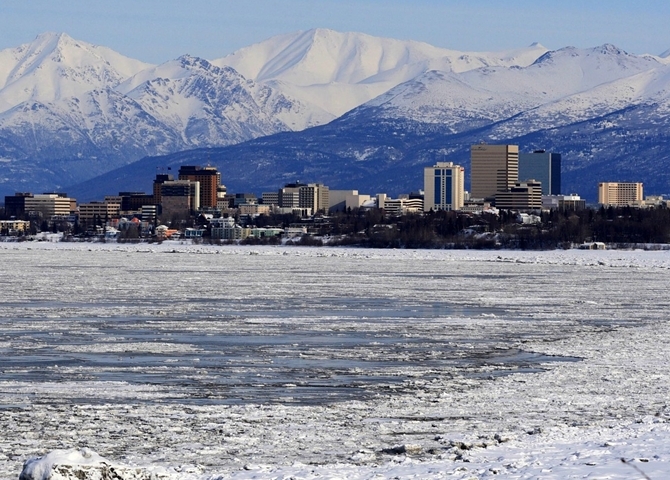 Get your friends or family the perfect gift from your Anchorage trip.